It is written from the perspective of the Composr developers. We really want every tiny little issue in Composr reported. This includes everything from functionality being completely broken, to bad spacing of text or spelling problems. Everyone who finds problems in something free has a basic responsibility to report the problems, so that the project can advance, even if they are very small or you have already found a workaround. If you don't report problems, you have to assume that nobody else will, and hence the product will not advance. This might mean making a bug report, or making a feature request – if something is not working as conceived, that's a bug, otherwise it's a feature request. This section is about bug reports. Design/interface changes usually count as a feature request, unless something is clearly not functional in the general case. The developers have a track record of responding to bug reports within just a few days. Don't expect a same-day response or in general a weekend/morning/evening response (UK timezone), but do post a reminder if you get no response after a week (it's rare for it to take that long). Bug fixes usually come with an automated (non-personal) response that includes a hotfix, a description of the bug, and a link to show the changes made in the code repository (git/github). So please bear this in mind and structure your own processes accordingly. Check the bug has not already been fixed. If you are on the latest release then you'll find a bug list linked to from your Admin Zone front page. Don't spend more than 5 minutes looking, but at least have a glance over. Try not to report unrelated problems together. We're not strict on this, because we would encourage people to submit large testing reports and we'll tolerate some collation for that, but generally speaking it is better each issue is reported separately so that it can be handled in one go without interdependence. Check it is a Composr bug. If it relates to a third-party addon, it should not be reported as a Composr bug. Check the FAQ. If your problem looks like it might be caused by a server configuration issue (for example if you are getting an 'Internal server error' message), please check our FAQ first. Describe your problem. If the problem it is at all complex it may also help if you can give precise steps to reproduce the problem. That said, we are a huge fan of Jing, and often simply spending a few minutes recording a video means you won't need to type much explanation and your problem will be more easily understood without ambiguity or language problems. If you are not running the latest stable version of Composr, state which Composr version you are running. If you get an error message, copy and paste the error message. The developers need to know precisely what it said, without paraphrasing or typos. If you see a stack trace, or are invited to generate one, include that full stack trace. Often stack traces are extremely useful. You should scan over the stack trace first though to make sure there isn't anything in there you wouldn't be happy sharing (such as your website URL, or potentially passwords or sensitive text). If you find anything you do not want to share, simply censor it out of the report. Don't expect the developers to censor things for you unless it really jumps out at them, that's not something they'll have time for. Consider offering server access. If your problem might be hard to reproduce, take some time to reproduce, or be specific to your own server (e.g. only occur on certain PHP versions), it may help the developers to have direct access to your server to see the problem and develop/test a fix. You can add FTP details to your site in your member account (these will get encrypted). If you wish to grant developer access then make sure you agree to the server access policy (designed to protect the developers from claims against them), and clearly include in your report that you agree and that you are happy for direct site access. 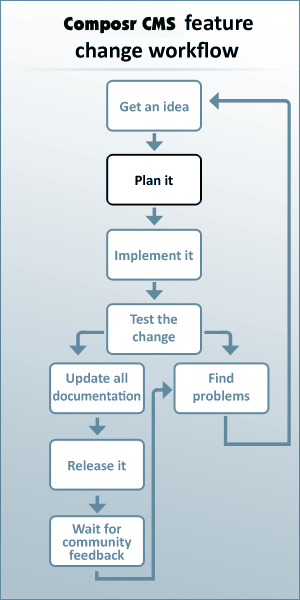 The developers like to resolve bugs efficiently with the minimal amount of discussion, so if you can provide access immediately at the point of making your report it may help a lot (otherwise the developers may need to come back with questions, and the back-and-forth and second guessing could take a while). If you don't want to give live access you could consider cloning your site and providing access to the clone. Use a high-standard of English. Don't use l33t-speak, txtspk, or anything like Hinglish. If you don't write English well then try checking what you have written by passing it through Google Translate. There have been many situations where users type English as they hear it in relation to their own language, not how it is spelt. This tends to force the developers to stare at their screens for 10 minutes to decode it. Use correct terminology. It's really important that you don't use substitute words when describing things - use the standard Composr and industry terms to prevent potential confusion. For example, if you said "I linked a download into my thread" then a strict interpretation of that would be that you added a Composr download through the CMS zone, and then put a link to it in a topic that was being viewed in threaded mode. However if you were misusing terminology you might simply have meant to say "I added an attachment to the first post in my forum topic". Clicking the button in the browser results in absolutely no action at all on any level. Clicking the button in the browser results in the button showing as clicked, but then the browser does not proceed any further. Clicking the button results in something seemingly happening, except the browser just stays in a "loading" state without actually showing any result. Clicking the button takes you to a white-screen. Clicking the button takes the browser away and right back to where you were with no message. Don't write a long meandering essay. If you could convey as much meaning using fewer words, try and do that. Remember that the developers might have to read another 10 reports in the same morning, actually deal with them, and finish it all without having expended the energy required for their primary job. They don't have time to read too much narrative. Don't write it as a letter to someone specific. Chris Graham may currently be the lead developer, but don't start your report "Dear Chris" - it's a little annoying because it adds some unnecessary pressure / filing difficulty. What if Chris is on holiday or ill and someone else is covering lead development duties? Write for a broad audience. Other users are probably also reading your report. Don't write the report as something about you and your site, try to keep the focus on the problem itself, and Composr. Assume the developers have amnesia. You may have previously interacted with the developers, and therefore assume details of this will be remembered. However, assuming 4 issues are dealt with per day, that means 1460 issues per year - so please forgive that the developers will often dump their memory after dealing with something. If you can't remember a PHP or Composr-critical error message, you may be able to find it in your error log (located in Admin Zone > Audit > Error log). The error log shows all non-user-errors that have occurred on your site. If your report is not clear enough for us to immediately see it as a bug we may require you to post with a paid ticket and refund you if an investigation proves it was a bug – so please make your reports as clear as possible. Composr comes with an automatic bug reporting mechanism, that is enabled by default but may be disabled during installation and at any time in the site configuration. We prefer that users leave this option enabled, as it allows us to fix bugs that do not get reported (which is probably a high percentage). This system logs and e-mails us any stack traces you may encounter. The "correct" place is the tracker. However, practically speaking most users are most comfortable posting informally on the forum, and up to this point the developers have been very happy with that. The developers have tools for automatic submission of formal reports to the tracker anyway. The developers don't promise to check the forum, so if you don't get a reply to a bug after about a week then you should go to post on the tracker, but not getting a reply on the forum has been rare in the past. If reporting a security hole (or suspected hole), make sure the tracker issue is reported as private. Immediate public disclosure (before an official response can be prepared) is not responsible and will reflect negatively on your reputation. On shared hosting it is always possible that a webhost can come along and say you are using too much resource. Shared hosts fit many sites onto the same server, and depending on the price and reputability of the webhost, you may be allowed to use more or less server resource. Webhosts may work on various metrics, or may respond to issues they have manually identified. This could be an issue if you store a very large amount of data/content on your website. It has rarely, if ever, been reported as an issue for a Composr site. This could be an issue if you are hosting large files, such as videos or downloads, and a lot of people are downloading them. Composr itself has no particular high bandwidth requirement. It may be that you have very large numbers of visitors. If you have many hits each second, the webhost may struggle to serve these requests. This is not specific to Composr. On a reasonably decent server, average Composr requests should be well under 1 second execution time on the server. 0.1 seconds is about right for a simple page on a well-configured server that isn't overloaded. 500*0.07*0.5/10=1.75 seconds of request per second of real time, probably enough to tax a dual-core server. So you can see, depending on what kinds of customers the host has, what software they run, how many accounts are held on the server, and the power of the server, hosts may have to do some push back against what their customers might do. If you are using the Composr chatroom, and a few people leave it open, the reqs/sec could rise considerably. If you are going to run a popular CMS site, you will eventually outgrow shared hosting and need a VPS, dedicated server, or cloud instances. Until then, try and see past webhost marketing and choose a host that has a good reputation and good hardware – absolutely don't cheap-out and try and get really cheap hosting, as you'll suffer from it. Cheap hosting is ideal only for simple static sites that get few hits. It's really important to realise how cut-throat and difficult it is for webhosts – think how much salary a host needs to pay for the support you use from them, for the hardware they provide, for the marketing/advertising/offers they run, and for maintaining their business (their own website, etc) – you'll see how squeezed it is and how if you go on the cheap end you can't possibly do well from it. No Composr user has ever reported that a webhost has reported excessive disk I/O (input/output) to them, but it may be an issue affecting the performance of your site due to factors outside the scope of Composr. I/O can be a real performance bottleneck if the server is not well-configured, such as having a remote disk, a slow disk, a failing disk, or if other users on the server are doing something that is really making the disk 'thrash'. Composr won't thrash the disk, but it would be affected by another user doing so. Composr therefore does have some special options for limiting its need to regularly check the hard disk, discussed in the Optimising performance tutorial. Normally Composr requests are explicitly limited to a maximum of 64MB, which is very small compared to the amount of RAM a server has (4GB is fairly typical nowadays). There are a very small number of one-off admin tasks where Composr raises or removes the limit, but its very unlikely to be a problem. If a webhost complains about memory usage they are probably looking at an aggregate figure. The chatroom is one possible cause for an aggregate figure to rise, as it has regular hits for each person who has the chatroom open. This is because the chatroom has to be constantly checked for new messages (hopefully one day this won't be the case, but current PHP and web browser features prevent a smarter approach on shared hosting). Let's say that 8MB is used by the chat message check script. This memory use is from the actual parsed PHP code that is loaded up, as PHP tends to use quite a lot of memory for it (orders of magnitude more than the disk size of PHP files). The chatroom checks messages by default each 10 seconds (so on average a message will be received 5 seconds after sent). Assuming only a single server core, this means a server would be using the 8MB 10% of the time. If the server has 1GB of RAM dedicated to web requests, it could sustain 500 customers using this volume of RAM. So, the chatroom is unlikely to be a problem unless the webhost is really cheaping out in a big way (e.g. putting thousands of users on a subleased VPS). As with the last example, it should not be a problem – but if the host has a lot of users on the same server, or users are using a lot of resources (maybe there's a trend to move to CMSs universally, and also spiders are heavily hitting all the sites regularly) it could be a problem. If a webhost says you are using too many resources, find out specifics from them. Ask what URLs are causing problems, what resources are being used, and what is valid on their AUP (Acceptable Use Policy). If the host has reasonable limits, and you aren't serving a high ongoing or peaking volume or users, pass on those specifics to the developers in a bug report. If the host has unreasonable limits, change webhosts and give them a poor review. If you are using too many resources for shared hosting, you'll need something better. » See advice provided in the Anti-spam settings tutorial. 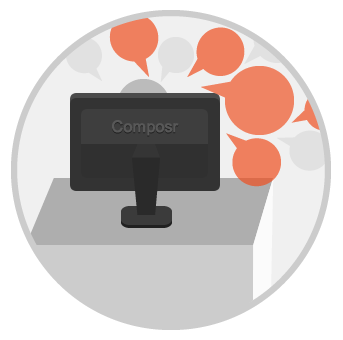 If you require a professional or official response, you'll need to use the Composr paid support service (or an equivalent third-party service – we do not hold or seek to hold any support/development monopoly). Generally, users can help each other out on the community forum. Please don't ask for free professional/official support (except when reporting bugs in Composr, or under our referral scheme ["Referral scheme for free support"]), as we have to pay our dedicated staff and thus have to have funding for their work hours. This section describes how to report emergency problems. 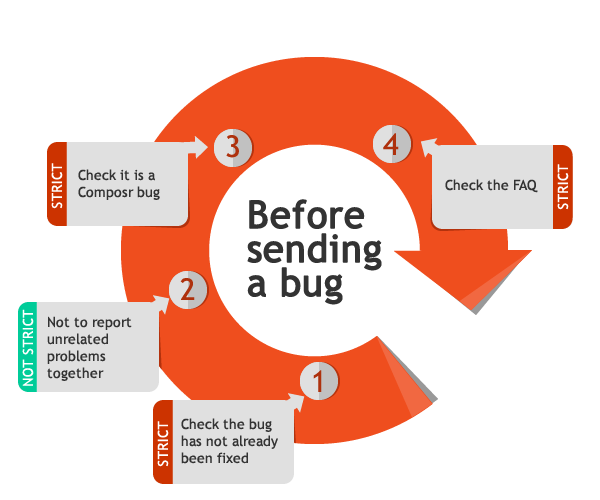 If you have a major problem that you believe to have been caused by a Composr bug, you can open a free bug report support ticket. The developers will respond appropriately (although if it is a problem with your computer's software or hosting, they may say so and not be able to tackle as a Composr bug report). In short: provide the access they need to solve the problem immediately when they open the ticket for the first time, i.e. FTP or control panel access. There is functionality to encrypt these details. Ideally, the developers should be able to look at your ticket, have the access they need to resolve the problem immediately, resolve it there and then, and then simply be able to tell you it has been resolved. Don't make the developers have to do detective work just to extra crucial information from you. Explain the exact situation and anything pertinent. For example, if it is a problem upgrading, describe the exact process you used to upgrade, what you upgraded from, and what you upgraded to. In return, the developers will try their best to ensure unintended glitches don't cause you unnecessarily pain. They have a very strong track record for this. Bear in mind that the primary defence to something suddenly going wrong with your site is to take backups, and know how to restore them (having practised it at least once). The developers are committed to ensuring Composr's stability as a product, but bug fixing is not a free concierge service that puts the responsibility for your site onto the developer's shoulders. The developers can provide this kind of service via professional support, but not via free bug fixing. » Also see the Disaster recovery tutorial. In Composr it can happen if the base URL has changed. One possibility is if it is blank in the _config.php file. If it was never set, and sometimes Composr is getting called by different variants of the base URL (typically with and without 'www.') then the cache can get a mixture, and it triggers such cross-domain errors. We know a lot of users would benefit from some advanced professional support on occasion, but that it's hard to find/justify the money if your website is not part of a successful business. The community helps, but sometimes only a programmer has the answer. Of course after making a great product for free the last thing ocProducts can afford is free individual tuition too. However, if you do help us bring in direct revenue, we can reward you for that. If you refer agency-service projects to us, you'll be given 5% of the value back in support credits to spend with us as you wish. This is a great way for us to be able to help you out further, and to help you help us. We're always in need of projects to pay the bills and to continue innovating. Sometimes it seems like we're "programming Gods", and sometimes businesses can seem inhuman or money-grabbing, but actually we're people who work very hard and make big long-term personal commitments, with big bills to pay. And unlike other non-contributing web design companies we have to compete with on a daily basis, we're always aiming for the stars and taking the Composr community with us. You can find all about our business offerings from the ocProducts part of this site. If you know an established or funded business who needs a site doing – see if you can sell them on our services, and send us the details of the referral. So, time to get started ? If you strike it big and are able to refer a development project at say £5,328, you'll earn one full days free support. That could be a lot of questions answered, or a simple new addon developed. It must be a true referral. The entity being referred must not have been considering Composr previously. The entity could be your employer, but it can't be your own business. The order must be over $1,294.09. The exact earning calculation is: 1 support credit for each £111 GBP spent with us, rounded down to the nearest support credit. Only work in the initial order will be considered. The project must actually start (i.e. deposit paid or support credits purchased). We reserve the right to reduce awarded credits if the project is cancelled for some reason, as we won't have made the money to pass on. We reserve the right to change these rules at any time, it's not a binding agreement. This applies for projects done at our agency rate, or long-term secondments of staff – it doesn't apply to professional support or feature sponsorship which is done at a lower hourly rate. If referred out to a third-party company (which we often do), ocProducts will ask that company to pass back a referral to you, but we cannot guarantee they'll do it. We suggest that you are open with whoever you are referring: if they realise you'll get a referral but think you are hiding this, it is likely to reflect poorly on you. Also, of course don't refer work you don't think we could realistically do – e.g. print design work, PR strategy, IT network support. I neglected to mention that there's something inherently good about referring work – for most projects we do, at least one new feature makes it back into Composr. A lot of what Composr now is came from commercial projects originally. Feedback is one of the most important signals for us when developing Composr. Our users are often able to show us ideas from new angles, which play a big role in Composr's future. Unfortunately, it is often not possible for us to comment on whether or not any certain feature will be developed. The reason we can't comment on user feedback is because whether we answer 'yes' or 'no' we end up in a difficult situation, as described below. Regardless, we have the feature tracker available for full discussions, so your feedback will always be heard, even though we won't necessarily be able to address it. In the spirit of Open Source you can even see ideas direct from the developers (which is our rough equivalent to having a product roadmap). Features can be directly sponsored from the tracker. We need to find funding for the majority of Composr development. Composr is developed professionally, i.e. by paid staff, and we need to meet their salaries. We enthusiastically accept contributions, and some things do come through without direct funding (either sponsored internally, or achieved indirectly through client work). However, as a general rule, funding is required. So, regardless of our views, it often comes down to whether our users are willing to sponsor functionality and is out of the developers hands. Our plans might change for a good reason that we hadn't foreseen – meaning it wouldn't be included after all. This can happen if the design process reveals a big problem with the idea. This is often the case, even for our team's own ideas. This is a big problem if any of our users build their plans around our premature announcement. Even if we do develop the feature it might take longer than people were expecting, and this not only rushes us into making releases too early, but our users can develop a dependency on us that is unhealthy for not just the development process, but the health of the user's business/organisation. The problem with this is that it almost always causes arguments – which of course we wish to avoid. The reason that arguments are so counter productive lies in the fact that we, and virtually all other development teams, are not in a position where we can accept every suggestion from every user. We have to make wide and complex decisions, based on information most people never see, and based on our years of engineering and design experience. This can be far more complex than most users realise. As our perspective can be hard to explain, and the harder we try and explain things, especially when rushed, the more likely the conversation will be perceived as belligerent, or at least very time consuming and distracting. Read on to get a better idea of our perspective. Often users will travel down a rabbit-hole of feature requests, as an ill-considered substitute to having a proper budget for skilled and experienced developers working on a project. We are always clear that non-trivial projects will always require some amount of designer and developer time, and no amount of us loading Composr with features can change this, so at a certain point of complexity and specificity, we have to say 'just hire a developer to code this directly'. 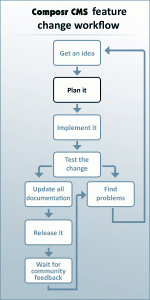 As well as 'yes' vs 'no', there are the matters of strategy and of release management, which are not simple. Each major Composr release usually hosts a wide range of new features, but also concentrates development on one particular overall objective. Typically we do this because we want to do something big and the only way to do it is to make a 'release mission'. there is quite a large risk if we change the database structure, due to complexities of upgrading. there is large incompatibility if we add to the CSS, because it means people's customised themes get busted. It is best that risk and incompatibility is managed in bulk, in major releases. 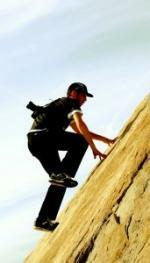 No free guarantees – There is no guarantee that someone will implement what you want. Open Source is not a free lunch, and volunteer Open Source developers makers only tend to implement things that are useful to themselves or fun to do. While Open Source programmers are usually highly ethical, and care about moving the world forward through cooperation, it's important to remember the best web developers are highly skilled and experienced professionals, like solicitors or doctors, and thus are paid as such. There's a lot of expertise in a lot of disciplines that is required to be a good web developer. You can sponsor functionality – If you have some financial resources available then you can simply sponsor development financially to push things the way you want them to go. This is the main way Composr is developed. Lead by example – Of course only a proportion of Composr users can afford to sponsor functionality. So, why not set an example for end-users making contributions by releasing something yourself (addons, themes, translations, etc) – remember that if you don't release anything, you forfeit a right to complain if others aren't doing the same too. Demonstrating commitment to contributing to the product ecosystem (with deeds, not words) is much more likely to result in people being willing to help you out. First, we thank you for considering contributing to the future of Composr! If you are releasing some code and would like it to be considered for official inclusion into future versions of Composr, you need to choose to assign dual copyright to yourself and to ocProducts (the maintainers). This gives the maintainers the option to include your work, without the possibility of any future legal problems. We do need to note that this would also give us the right to do things such as selling special versions of Composr (including your contributions) under the ocProducts name – because we need to make sure that if we take in contributions to our code-base, we aren't as a result restricting our future activities done with the whole Composr package. Potentially contributions could become critical to the software, and it'd be impractical to negotiate/remove each case of contributed code, for each case where we find we need to release Composr in a new way. For the above reasons we are not encouraging or discouraging dual copyright assignment, it's everybody's own decision how they want their work to be used; this section exists to allow people to make an informed decision and for us to explain the process. If you would like us to consider including your code, mention when you post your work on the tracker that you're "assigning dual copyright with ocProducts Ltd" and be clear about what code it is that it applies to. Also, if you make a future version and do not want a past copyright assignment to carry forward, you should clearly state this too. If you want credit, please clearly remind us to have it included in the attributions part of the Composr licence, and we will happily oblige. Be aware that assigning copyright is not something revocable, and it is not the same as just assigning us a licence, so please think carefully about what you want to do. The Composr community occasionally sees feedback that we should improve the design of the default theme. Usually, however, this feedback is given in very vague terms and is hard to act on. This section will explain how to give design feedback in a clear constructive way, and also give some background on the design constraints that we work within to make Composr. Composr doesn't look as good as Wordpress. The problem with this kind of feedback is that it very much reflects the perspective of the person giving the feedback, yet the details behind that perspective are entirely unknown to those reading the feedback and wanting to act on it. The person behind the feedback is usually sincere, but doesn't realise it doesn't help us move towards meeting his/her needs. It's not immediately obvious, but there is a lot more behind something looking "good" or "bad", and it's very much about what you're seeing in the details. In fact, someone looking at a design can feel it look "bad" without knowing why, and only on contemplation does it become clear that it is due to a small number of things in the details being slightly wrong. This is how the brain works, it makes lots of subconscious evaluations on your behalf. It takes a great deal of self-control for developers to not see very vague negative feedback as something from a lazy "style over substance" person who wants everything delivered on a plate for them. Fortunately, with just a little bit of work you can ensure that developers will not be under that false impression, that developers will be happy in their work, and give some actionable feedback that will have a positive effect on the future of Composr as a product. In this section we'll analyse each of the above positions. Much of this will read as if it is a rebuttal, but that's not our true aim here. By explaining why things are as they are, and the process we work within, we can then explain how real design issues (which we won't deny) can be fed back to us. It also gives you the insight required to challenge our processes or assumptions, should you feel we're doing things wrong. Often this largely is to do with how blocks look. A lot of modern designs will try and minimise the number of borders and separate shaded areas, and instead use white-space and more subtle dividing lines to lay stuff out. Composr may be thought of as "boxy". Composr has a modular design because it is not a hard-coded system. Composr is constructed so that you may make many different kinds of website with it, and have full control of the layout. Therefore you construct a layout by putting together a number of components ("blocks" in Composr jargon). By default these blocks will look self-contained, because it's the best way we can make things work out of the box, without you needing to be an expert designer. Things are also quite close together by default because we need to support large numbers of features displaying at once, which is a very common configuration on community websites. We provide a Comcode feature to "de-boxify" the appearance of blocks which helps a great deal. Designers can fully customise the appearance and we fully embrace the design process. So, largely this feedback comes down to the fact that if you're creating a website you probably will want to do some amount of design to get things look great for your site. Design is a very human process. It's not truly a situation of Composr being dated, it's more of a situation that modern design quality really is driven by expert designers spending a lot of time and energy to perfect the design for individual websites. Because Composr is not a tool to clone out a standardised kind of website, great design cannot be fully automated. The default Wordpress look is pretty dry and basic, so chances are this feedback more relates to comparing a Wordpress theme to the default Composr look. Or, considering the Composr Theme Wizard as comparable to installing a theme for Wordpress (it isn't – the Theme Wizard creates a colour scheme, which is pretty different). People do release themes for Composr; if the latest major release is quite new there may not be very many, but you can try and encourage authors of older themes to upgrade them. It is true that you may need to invest more in getting a Composr theme than a Wordpress theme, assuming you don't want a website as simple as a Wordpress website. This is because Composr solves more sophisticated requirements; themes are going to require more work because there is a lot more within a Composr website to design against. Usually this is more of an issue of a specific configuration of Composr looking a mess for some reason, or some kind of design mistake(s) in the default theme. In other words, it's not Composr as such, it is something specific – and thus, something we can resolve. This is where constructive criticism is useful. This is exactly what we would like people to do directly. Isolate specific issues, then report them to us. We can then expedite the fixing of such issues very easily. The spirit of the above section is much of one of treating design issues as bugs. That takes us a long way, but it is not the whole story. An overall design vision, and a sense of style/taste, is also a big part of the equation. We need designers to get on board. You could actually redesign Composr interfaces yourself (e.g. in Photoshop) and submit them to the tracker for implementation by a developer as HTML/CSS (or make direct patches if you are so inclined). If you're a designer, you could certainly show non-designers how things could look a lot better. People sometimes suggest that we take on designers to continuously iterate on Composr designs, but it is a lot easier said than done. Finding designers who truly understand how to design for CMSs, for user interfaces, for a wide range of considerations and constraints, and to truly be passionate about Composr as a system that serves non-designers, is difficult. Most designers design for specific contexts, which is in stark contrast to how software features are developed. 99 times out of 100, any designer we take on is going to have far too much a limited perspective to truly take the Composr design up a notch. So, if you're a designer reading this, there's a very good chance you could make an excellent contribution to the project! This is not directly related to the process of reporting design issues, but may result in further insight into the Composr design process. improved technology allows better results. We are unlikely to chase fashions with Composr, i.e. we will try and make the design as timeless as possible. To that end, the concept of it being 'dated' from a fashion point of view would likely be a null one. If your particular website is chasing fashion trends, you should invest in it, but Composr isn't likely to be redesigned only for trends, because the cost/disruption to do so would be very high compared to the benefit. Most really good designers understand that design is a lot more about solving problems, learning the best approaches, and optimisation, than it is at getting the latest look. However, what people think of as fashion trends, quite often are things we could treat more objectively, and therefore tackle within Composr's existing design framework without having to keep throwing everything out. For example, once curved borders were renderable by web browsers, we updated Composr to use them in many more places. Modularity: This is discussed above, under "Feedback types, in detail"
Generality: Composr's default design has to be fairly conservative, suited for many different kinds of website. Design elements on a property retail website, may also be used on a community website, and a small business website. Feature-density: Composr sites are often feature-filled. This means the default theme is unlikely to have much in common with very minimalistic designs, such as those on a portfolio website. Back-compatibility: We have to avoid breaking people's themes too much across releases. We therefore have to choose compatibility break-points carefully. Browser-compatibility: We have to make Composr work across a range of web browsers, not just Webkit. Opinion: It has to be noted that design is very personal, and not everyone is going to agree on what is good design. Different people have different taste. Context: Something may look great in one context, but it may look messy in others. For example, a design element may look good with 10 words of text, but terrible with 1 word of text or with 30 words of text. A block may look great in a panel, but poorly spaced on a page, and not line up correctly in a page column. We will try and make things look good in all situations within Composr where we can, and make things adapt automatically, but it is just worth noting that people often don't realise that often nobody has seen things the way you are seeing them before, and this can be a very common cause for things looking bad. What you are doing on your own site will usually feel natural to you, but it's surprising just how many different kinds of visual configuration Composr can have and how much that can make a difference to how good things may look. Pace of change: The state of the art in web design changes very quickly. Be aware that Composr will have release cycles, and that means we cannot always be on the cutting edge in the default theme. Scope: Composr is a huge system, so not every interface will have received the highest level of design yet. This is a great area to give feedback in. Things can always be improved. Feedback. Tell us what looks wrong. Feedback. Show us how you think things could look better. Feedback. Be as specific, detailed, and clear as possible. Composr is primarily sponsored/maintained by ocProducts Ltd, a company led by the main original developer / current lead developer (Chris Graham). In fact, we have a hybrid model for Composr – ocProducts takes overall responsibility for keeping the project going to professional standards, as a free Open Source community project. This section explains how the commercial aspect of our company operates, and the nature of the services we offer. Specifically: how they are priced, and who they are intended for. The Composr/ocProducts founders are fanatical about enabling people to have great websites, for a lower investment than is typical in the web development industry. We started Composr before even considering making a business of it – we're really passionate about it, and we always have been. To the founders, the ocProducts business is a tool that allows us to keep doing it full time, now that we're older and have to keep money coming in. In many cases that investment is just in time – our users spending time learning the Composr software, and taking advantage of the great features it has to offer. This way users get a better website than if they had used a lesser tool, or save tens of thousands of dollars that you'd need to pay for a ground-up development from a traditional web development company. Really passionate Composr users go further, and maybe learn HTML, CSS, or even PHP – and from this, push Composr as far as they want. Sometimes (often for businesses), the investment might be in the form of money. Businesses and organisations can pay developers to make a whole website using Composr. Depending on the website, it'll likely cost somewhere from a few thousand dollars. That's a whole lot better than from tens of thousands – big saving. In-between there's a proportion of users who need to strike a balance – to invest their own time, and also to pay for some development services. This usually means users will make websites themselves in Composr, and pay someone to add some extra features, or to provide some direct technical support for the software. We hope, but absolutely do not require, that many of our users will choose our company to provide their web development services, as well as other services we provide (such as mobile app development, or Internet marketing). As a company, ocProducts makes almost all its money from services. Composr is free, so we don't make anything at all from that. We choose to give it out for free because we love the whole concept of it – what it empowers people to achieve – we are able to give it out for free as it provides a foundation for the services we provide. A consequence for this is that when we are providing services to people we are acting as a business, earning money to pay our salaries – not just directly for the work we are doing, but also to fund what we do for free. We are able to do this and still charge less because, as Composr experts, we are able to save lots of money for our clients. One tricky thing about our business is we walk the line between enthusiast and enterprise services, trying to serve everybody's needs well, and aiming to be fair and open to everybody, be socially responsible, and to maintain a healthy community atmosphere. We make advanced stuff really affordable, but when that stuff is heavily customised with a lot of extra design work, and given heavy customisation to tune it to particular needs, it still can cost a lot of money. Often people who are in communities aren't accustomed to the kind of figures that companies have to pay for things, and expect services to be cheaper, more like the price you see for things in shops, or pay for a software licence. There's a big gap between 'free'/$100 and 'tens of thousands of dollars'. The reality though is most websites for businesses cost this much, or often a lot more because they are developed by a permanent staff. Prices seem relatively high, because wages are always a lot higher than disposable income – think how many $100 there are in the yearly salary of someone who has been through years of university training and with an in-demand skill-set, and then add to that things like the cost of dead time (periods where incoming work is slow), administration costs, write-downs (e.g. non-paying-clients), training, marketing and PR, management, sickness leave, vacation periods, tax, expansion funds, contingency, office and bills, return on investment, and many other costs. For people outside business costing, the actual cost things come to is a bit of a shock, but the figures that go around are fair reflections on the costs of it all. Now comes the reason we're including all these details in this tutorial. We often get a situation where people come to us looking to purchase some heavy Composr customisations, but don't have past experience of business costs. Most people don't. It doesn't help that most of the real costs for quality programming services out there are never advertised, when costs for the lowest quality of work, or out-of-the-box products, are advertised openly. By explaining the background to how costs are calculated, and what we can and can't deliver for free, I hope we can demonstrate how we maintain an enormous passion for Composr and Open Source, while showing that our professional services are necessarily aimed at organisations with a realistic business budget, and not intended to be taken up by the majority of our users (community websites). Please be aware also that ocProducts doesn't take payment-in-kind, such as payment in stock, payment via advertising, mentions on mailing lists, commissions, or long-deferred payments. Our operating margins are already quite slim, so in these situations we'd expect a business client to use something like a bank loan to fund their enterprise. We're not professional valuators or risk assessors. Despite attempts to accurately describe what Composr can do, many people see Composr as a way of achieving the equivalent to what high-funded Silicon Valley companies achieve, but for free. Whenever there are roadblocks to that, people often end up trying to lean on the developers to get closer to it. This can be very frustrating for the developers, who are probably as squeezed for time as anyone around (often already working 15 hour days, 7 days a week). Building and maintaining Composr is a huge effort, and if individual users take more resources from the project than they provide financially, it makes it unsustainable. The developers are generally polite (if sometimes a bit curt due to time pressure), and they know a lot of people don't realise how much time responding to people can take, and the developers are empathic about people's technical challenges. But ultimately the developers can't save people from themselves and are often at the receiving end of people's frustration (with undue insults being relatively common). If you do then find it a big challenge to achieve your desired goals, don't approach the developers asking for free support or for new features to be implemented for free. Please do fully interact with other users in the community though, of course. Working a hundred hour week is already not unusual for the developers, so please don't push them to do more, unless you are able to find finance to cover your requests. That said, please don't let it stop you giving feedback. The critical difference here is that of the difference between feedback/suggestions and requests. Call the developers idiots for not doing your work for free, as "it'll bring in lots of paying customers"
It is an unfortunate but inevitable fact that computer software has bugs. Composr is no exception, and although we work to make sure every single bug gets fixed, we aren't able to make sure every past version ever released is kept bug-free. It is essential that users understand our maintenance policy, and perform upgrades as we suggest. Major. A major security or integrity issue, or a bug so significant that it cuts off major functionality. Minor. Any flaw that is not major. ocProducts has a rolling support status for versions of Composr (aka/formerly ocPortal). Versions may be classified as: beta, stable, supported, defunct. Beta version. ocProducts will typically release the next new beta version with all bugs up to the major flaw fixed, but there are no guarantees. Stable version. ocProducts will release a new version with all bugs fixed. Supported version. ocProducts will release a new version with only the major flaws fixed, as any minor bugs truly will be minor as a whole new version had been developed before they were found. Note that any installation issues or compatibility issues with new software are degraded to minor flaws when considering the supported version, and hence not fixed in it. Defunct version. No flaws are handled except when there is an active support contract with particular customers (in which case fixes would only be sent to those customers and to the git repository). Please note that we don't usually immediately release a new version when there is a flaw. We usually put out a hotfix, then a new patch release every few months. Please note that if Composr is installed by a hosting-control-panel, it is very unlikely that it will be up-to-date. Thus, hosting-control-panel installs will need immediate upgrade. ocProducts believes in being open about how we treat security issues. By explaining how we deal with security issues and why we deal with them in the way we do, we hope that you can better understand how to keep your site patched up. Unfortunately it is virtually impossible to write computer code that doesn't have security issues, because even the smallest mistake or unintended-consequence can lead to them – ocProducts has very strong standards for writing code to minimalise security holes, as well as in-house developed automatic scanning technology, and layers of redundant security built in to Composr itself. Even with all this though, problems will inevitably by found. There is a security philosophy known as 'full disclosure'. The basis of this is that vulnerabilities are specified in the open soon after they are found. While implementing this would be an act of openness from us, we have decided to not implement it because we have large numbers of users who do not have the expertise and funds to rapidly react to such public disclosures. By not giving full details of security holes, we make it harder for hackers to find them – reducing the threat by increasing the investment a hacker needs to make. However, we strongly encourage users to keep up to date with all patch releases, because we may have fixed vulnerabilities. The idea is that we make it harder for hackers by not disclosing vulnerabilities, but we quickly release patches and thus don't leave conscientious users vulnerable to persistent hackers. If less-conscientious users don't patch then at least the vulnerabilities aren't disclosed, and if they were disclosed the users would not likely have patched anyway and therefore be in even greater danger. We never sit on vulnerabilities. Security researchers sometimes find vulnerabilities, and usually they do follow full disclosure processes. Therefore it is very possible security holes do get disclosed by third-parties. However, these researchers usually only do their full disclosure after a reasonable time window. ocProducts reacts to vulnerabilities different depending on whether we classify them as 'major' or 'minor'. Major vulnerabilities are considered a 'major flaw', and hence new versions for supported, stable and beta are released quickly after the flaw is found. The vulnerabilities are mentioned as existing (along with the severity) in the notes accompanying a new release, the 'version notes' for the prior version, and in a newsletter; there is one exception to this: if the vulnerability is obscure enough to only affect a small proportion of users, it may not be mentioned (keep reading this section for more details on this). Minor vulnerabilities either have a low risk or are so inherently commonplace in all similar software that making new releases to fix each of them is unfeasible. These vulnerabilities are silently fixed, and if there are enough of them or if they are borderline cases, the next minor release mentions their existence. Sometimes a minor vulnerability will be treated as a major one if it has already been disclosed by a third-party (due to an elevated risk). We hope by being up-front, our users will appreciate this and keep their version of Composr up-to-date with the latest stable version of the major version they are using (and within 8 months of release, the latest major version). If users do this, their sites will stay patched for all vulnerabilities ocProducts knows of.